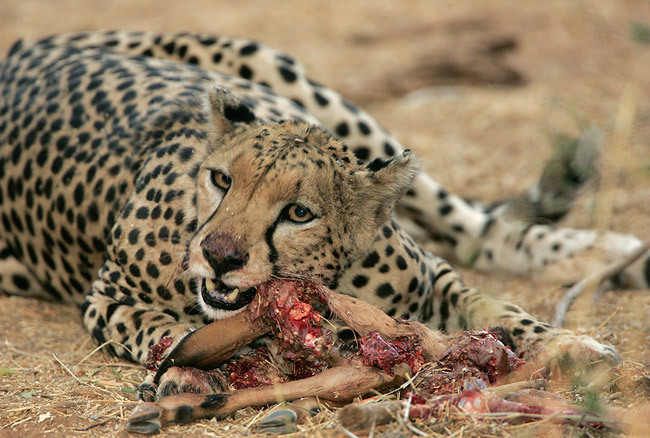 Do you exercise like a predator or prey? I have little time for writing these days. I mostly hover quietly in the background of the blogosphere and the twittering realm, plotting for the lifestyle revolution to come. But a thought hit me in the shower one day. Exercise is stress. It is a voluntarily induced stressing of our physiology which triggers certain responses. It is usually the response were after, though the exercise in itself can be very rewarding. What we want is for our body to grow stronger and fitter, which it does in response to exercise. It is the rest following exercise that makes us stronger, not the exercise in itself. That is all well and good, but I’ve been wondering how much our mental state while exercising affects the exercise and thus the response. I have often said that if exercise is nothing but a stressful element in your life, something you dread and that gives you no pleasure at all, then don’t exercise. Life’s too short and mental stress is so harmful I am unsure if there’s a point in exercising if you hate it. This got me thinking of people I know who do not exercise, but still lead relatively active lives. These are people who walk and half run through the day, rarely having time even to eat sitting down. Although they are fairly non sedentary and probably have an energy expenditure easily exceeding that of many healthy hunter gatherers, they are not very fit. Then I realized that much of the “exercise” they do, happens while being in a state of mental stress – hastening from meeting to meeting or from any other A to B. Some of these people almost never have time to walk calmly, do some thinking or enjoy the scenery. In these peoples’ lives there is also a relationship between the intensity of an activity and the amount of mental stress – the highest intensities are reached when things are crazy stressful. These people remind me of prey animals. This form of physical activity is like that of a nervous prey animal running for its life several times a day. And this is why I am wondering if there is anything to gain, even in pure physiological factors. Does exercise while being stressed negate the normal positive effects of exercise? Although I don’t know the answer to the above question, the way I would like people to exercise is like a predator. Do some workouts on an empty stomach like you would if you needed to hunt for food. Exercise with high intensities and reward yourself with a big slice of meat and total relaxation after. And don’t exercise like this every day. Like a predator we may move around a lot when we don’t hunt, but we don’t hunt every day. Predators don't kill with every hunt. Most of the time it should be: Exercise, don't eat, keep exercising. 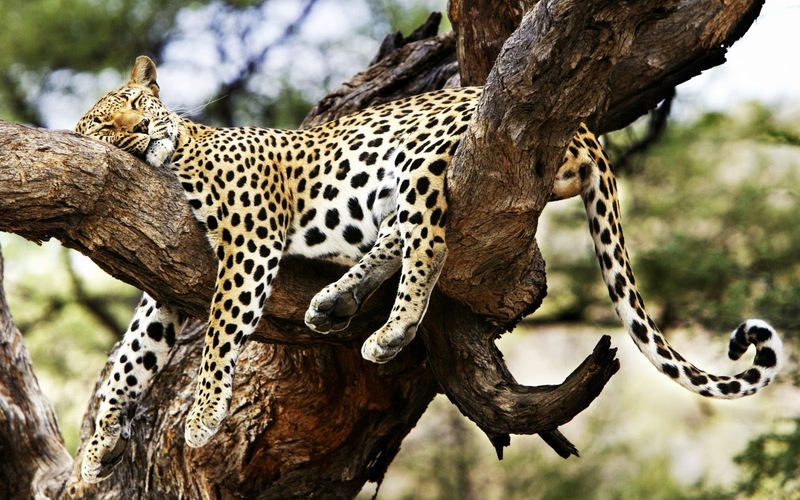 Then rest. Eat the next day, if you're lucky. Point taken. Although this might be more evolutionary correct, I'm not sure it's the optimal strategy. Depends on how long you go without eating. Careful, guys… I'm concerned that we may be just a few steps down the road from becoming Furries. Nobody wants that. Very cool idea. Indeed people with higher metabolisms aren't always the leanest. Perhaps it's because they are operating under stress hormones. About hunting and eating. 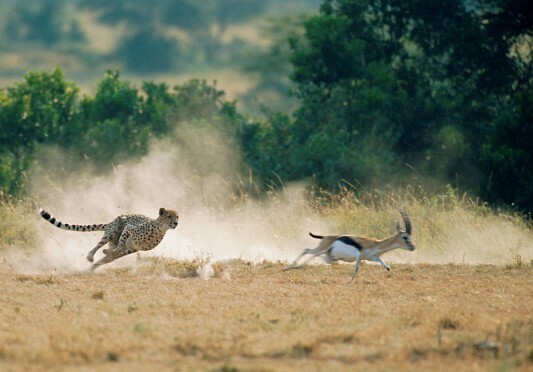 Big difference between a 30s sprint by a cheetah who has much much more anaerobic capacity than a human and an actual workout. A hunt, by a cheetah at least, not a persistence hunt from a wolf, is more like doing 1 set of an exercise. Good point Avishek. Perhaps I should have used lions as illustration, althoug the felines might not be the best comparison. Fasting shorter periods of time (shorter than a week) can actually be beneficiary. i wouldn't do it too often though. I thought the reason we tend to get sleepy after a big meal is to allow the body to store up as much as possible of the nutrient as stored fat. Would certainly make sense in world of prey. Not sure if that is the main reason, nancan. But proper digestion requires rest. Neste Neste innlegg: Veien til god helse – Hvem skal vi stole på?